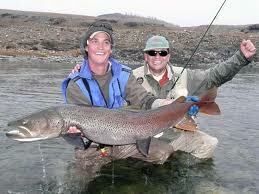 You will stay at a fishing lodge on the river Balj in the eastern region of Mongolia. The fishing area in the campground extends about 10-15 km along the river and the surrounding area is sparsely populated, with the exception of a few nomadic dwellings. The peaceful environment offers a perfect opportunity to escape the tension of the city and just relax and unwind. The fishing season lasts from about August 20th till October 20th. During this period, there is no rain and water is usually transparent and at a low level, enabling the best catch. June 15th to July 5th is also possible as the water level is normal, however there is occasional rain. Early morning after breakfast, we will have a full day drive to Onon River, eastern region of Mongolia which will be quite exciting with exploration of attractive landscape composing of mountains, forest, grassland and rivers. Overnight in tourist camp near Onon River. In the morning, drive to the confluence of Onon and Barkh River for full day fishing. 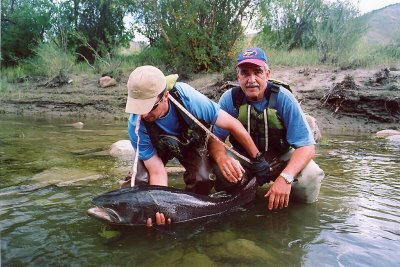 Onon is one of the biggest rivers abundant with fishes. It begins from Khan Khentii Mountain range and flows 800 km on Mongolian territories and flows into Shilka River, one of biggest rivers in Eurasia. Picnic lunch. Dinner and overnight in tourist camp. After breakfast at the camp, we will drive about 60 km to our fishing lodge to catch Taimen. The lodge is located in bank of Balj River which flows into Onon River. Overnight in the fishing ger lodge. 2 full days fishing in Balj River. Overnight in the fishing lodge. Day 7. Back to tourist camp and fishing. Up early morning drive back to tourist camp, shower and relax. Then fishing in Onon River. Day 8-9. Fishing in Onon River. 2 days fishing in Onon River. Overnight in the fishing lodge. Early morning, after breakfast, we will drive back to Ulaanbaatar. Check in hotel. In the evening you will attend a concert of national folklore before having a farewell dinner. Overnight in the hotel. Comfortable well located tourist class hotels and Ger camps and tent.